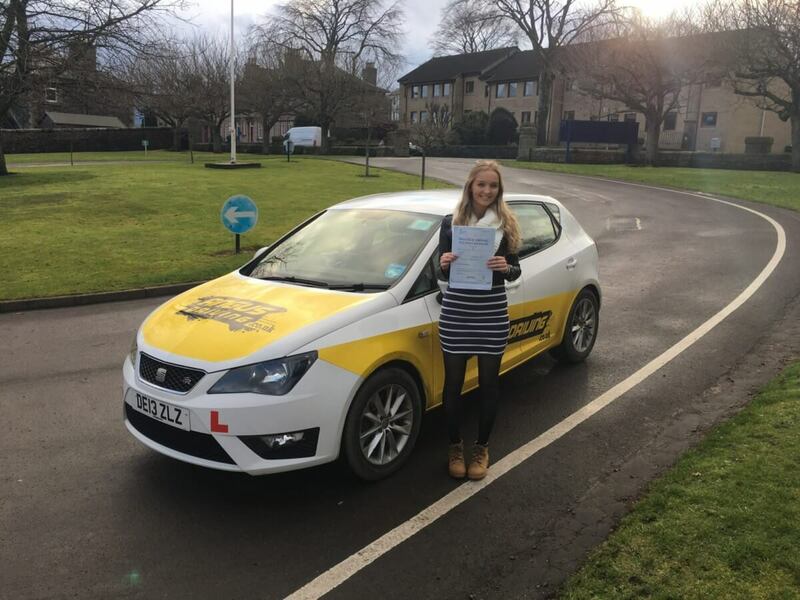 Victora started driving lessons at the beginning of summer last year she was currently on a year out after finishing high school in Biggar. Lots was going on at the time as she was in the middle of moving house with her mum and dad so was temporarily staying in Blythe Bridge while the new house was getting completed. We began driving around the small surroundings country roads which was great, it gave us a real chance to get used to the car and it was quiet enough that there was no pressure. We progressed regularly from lesson to lesson before heading into Edinburgh to up the challenge. After we had done a few lessons and Victoria was feeling confident we got her mum to join us on a lesson, hopefully this she would then be confident enough to start practising with Victoria in between driving lessons which they did. While all of this was going on Victoria had the very exciting news that she was pregnant which was fantastic. As it got very close to Victoria’s due date we put the driving lessons on hold. I was confident that she wouldn’t forget anything. After having a little girl at the end of 2016 Victoria booked her test for the start of February 2017. We resumed at the end of January and as I thought Victoria hadn’t forgotten a thing. When test day came in I was extremely confident that we were ready and Victoria didn’t disappoint going out and passing. This now gives her the freedom for a very exciting 2017. Well done.